The University of Alaska Anchorage is the state's largest post secondary institution. It is comprised of the Anchorage Campus located in the heart of Alaska's largest city, as well as Kenai Peninsula College, Matanuska Susitna College, Kodiak College and Prince William Sound College, all located in some of the most beautiful places in Alaska. For news updates, advocacy resources and information regarding developments with the proposed UA budget, please visit the Chancellor's web page. If you are a returning student, be sure to register for Fall 2019 classes before this term ends. Priority registration gets you to the front of the line for popular courses! Schedule an appointment with your advisor. Remember, you can do so with the Seawolf Tracks app! Download Seawolf Tracks by searching "Navigate Student" in your mobile app store. For registration information, visit the UAA Registration page. You may also contact the registrar’s office at 907-786-1480 (option 5), or via email: uaa.registration@alaska.edu. 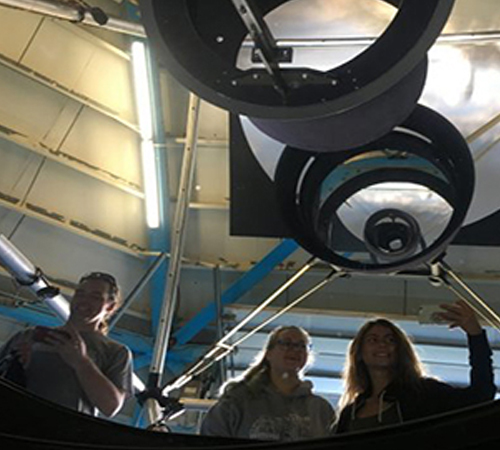 For UAA senior Angela Cook and junior Hannah Crayton, their undergraduate research recently took them to Kitt Peak National Observatory in Tucson, Arizona, to search for the elusive supernovae in a galaxy far, far away. What does the underside of sea ice look like? Until recently, no one needed to know. But with oil drilling on the rise in Alaska, the threat of spills has increased. UAA engineers explored beneath the ice to prepare for a potential spill. 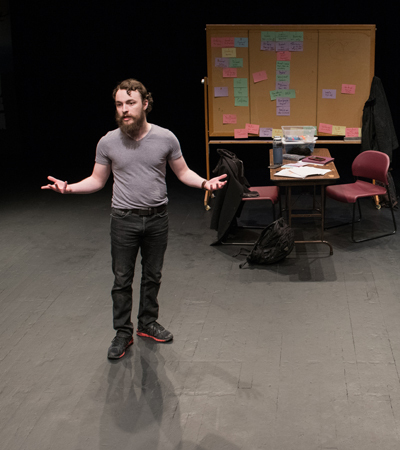 Reliving a low point in front of a crowd sounds like punishment, but for theater major Taran Haynes, it’s more cathartic. It helps that he’s performing alongside his mentor and friend, theater professor Brian Cook. 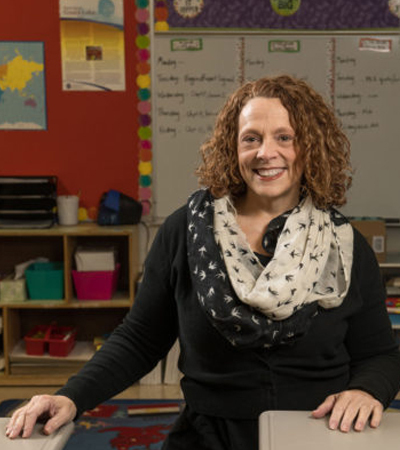 From teaching in rural Alaska to helping establish the Alaska Native Cultural Charter School in the country's most diverse neighborhood, education alumna Danielle Riha has made an impact infusing core curriculum with traditional Alaska Native values. 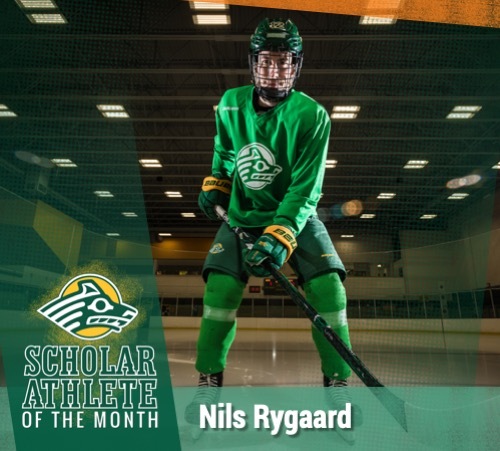 Nils Rygaard has trained to play professional hockey since he was 3. To reach that goal, he simply follows the best opportunities, which brought him from Norrköping, Sweden, to UAA to play for the Seawolves. 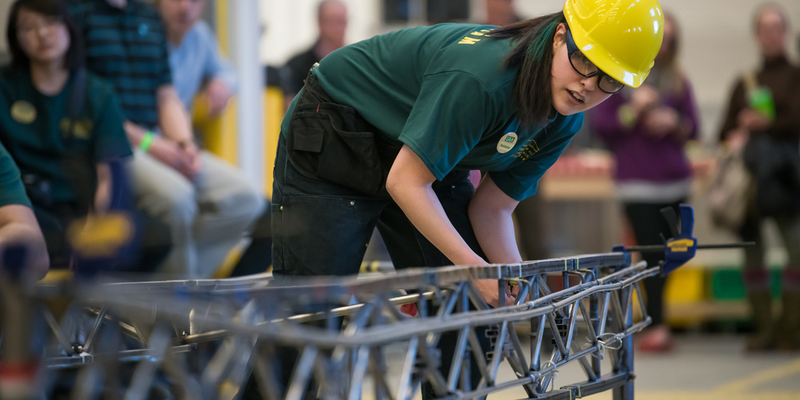 Nick Armstrong-Crews earned three degrees from UAA, and went on to study at and work for some of the most prestigious schools and tech companies in the country. 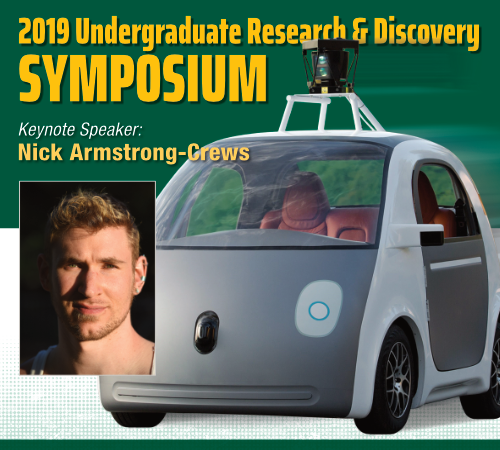 Now a roboticist for Google/Waymo, he'll return to UAA to deliver the keynote address at the Undergraduate Research and Discovery Symposium on April 18.